On June 25, an appreciative audience listened to a Jack Dempsey as he spoke about his book, Ink Trails. A lifelong Michigan resident, Jack set out to disprove the popular notion that most authors live in New York or California, with a few obstinately residing in Chicago. He and his brother, Dave, set out to write vignettes about the famous, once popular, or simply unrecognized authors for whom Michigan mattered. The story of Carl Sandburg, biographer of Lincoln and famed poet, perhaps sums up the failure of Michigan to get literary notice. Sandburg is usually associated either with Illinois where he was born or North Carolina where he died. Usually forgotten is a fifteen period from 1930 to 1945 when he lived in Harbert, Michigan. It is not as if Sandburg wasn’t busy writing in Harbert. In a house with a view of Lake Michigan, Sandburg wrote Abraham Lincoln: The War Years, a work that won him his first Pulitzer Prize. The Sandburg’s eventually moved to North Carolina not for literary inspiration but rather because Lilian, his wife (who was born in Hancock, Michigan), wanted to move to North Carolina to better raise goats, something she had begun doing in 1935 and for which she became nationally recognized. Sandburg’s boyhood home is preserved as an Illinois State Historic Site. Sandburg’s North Carolina home is preserved by the National Park Service (although one has to hunt about their website to find any mention of the goats – but it’s there, see http://www.nps.gov/carl/historyculture/lilian-sandburg.htm). Harbert? There is hope that Michigan might put up a historical marker noting Sandburg’s long residence in the town, someday. The Sandburg story was one of those shared by Mr. Dempsey in his presentation, which we hope to soon make available on the web (stay tune to the Clarke Historical Library News and Notes Blog for updates), and in his book, Ink Trails. We are pleased to join him in recalling the rich literary history of our state. On Tuesday June 25th, the Clarke Historical Library will be honored to be host to 2013 Michigan Notable Book award winner, John "Jack" Dempsey. 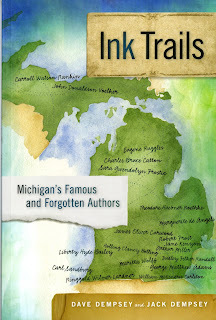 Dempsey will be joining us as a part of the 2013 Michigan Notable Books Author Tour to discuss his latest book Ink Trails (Michigan State University Press) to explore the stories behind some of Michigan's famous authors. What some call the first of its kind, Ink Trails tells of the many secrets, legends and myths that surround some of Michigan's most acclaimed literary heroes. Highlighting the diversity of the many notable authors, Mr. Dempsey's stop at the Clarke will discuss the rich history of these Michigan writers. 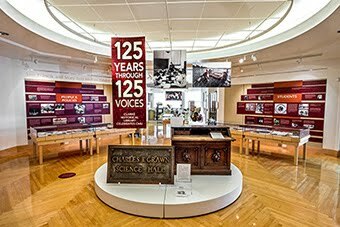 As one of the 20 authors selected to take part in the 2013 tour, Ink Trails highlights the distinct diverse literary history that is ingrained in the Michigan experience. We are fortunate to have Mr. Dempsey for an evening to share his image and discoveries of the stories that surround Michigan literature. The presentation will begin promptly at 7:00 pm on June 25th and will be followed with a reception shortly after both which are free to the public. Please join us for this enjoyable evening. The 2013 Michigan Notable Books program and tour are made possible thanks to the generous support of the Library of Michigan, the Library of Michigan Foundation, Michigan Department of Education, the Michigan Humanities Council, Meijer, and the Michigan Center for the Book. Media Sponsors are Mittenlit.com, City Pulse, WKAR, Dome, Queue Advertising and Tom Gennara Photography. Heading into its 87th celebration, the Traverse City Cherry Festival has much to look back on with pride. For the better part of a century the Cherry Festival has attracted admired athletes and celebrities such as hockey legend Gordie Howe and U. S. President Gerald R. Ford. Now, nearly 90 years later, the Cherry Festival is not only a Michigan summer tradition, but a national tradition as well. Beginning as the Blessing of the Blossoms Festival, what is now known as the National Cherry Festival ignored humble beginnings and grabbed attention of a national audience. In 1926, the festival began with the presentation of a pie made of 5,000 cherries from Hawkins Bakery being presented to President Calvin Coolidge. Just four years later, the festival expanded from a one-day event to cover three consecutive days. With the growing popularity of the three-day celebration, the Michigan Legislature deemed that the year 1931 would be the first celebration of the National Cherry Festival. To mark the landmark year of the cherry, seven U. S. Navy ships of the Great Lakes training fleet anchored along the shore of Traverse City while three companies added in celebration alongside the floats in the parade. As the host of the National Cherry Festival, Traverse City became a destination for over 100,000 people during the three day celebration. The popularity and attendance continued to grow until the festival organizers suspended the celebration from 1942-1945 in support of the U. S. effort in WWII. After the War, in 1946, the festival committee felt it was too soon after the crisis to celebrate and then in 1947, the Traverse City Centennial celebration took precedence over the Cherry Festival. Therefore, it was not until 1948 that the festival returned. It returned to Traverse City as a two-day celebration and for the first time the festival committee decided that the Cherry Queen must be a local girl. Soon, the popularity of the festival was a much as before the War and the event was expanded to a three-day celebration again in 1950. Nearly fifteen years later, in 1964, the committee passed a vote making the festival a five-day celebration and deeming the week of July 6 "National Cherry Festival Week." Only four years later, the festival became a week-long cherry induced celebration. With such a great history, there is no reason not to celebrate the cherries of Traverse City. And while not all of us can make it to the Cherry Festival, we can all sit back with a nice slice of cherry pie and a tall glass of cherry lemonade on a beautiful summer day in Michigan. 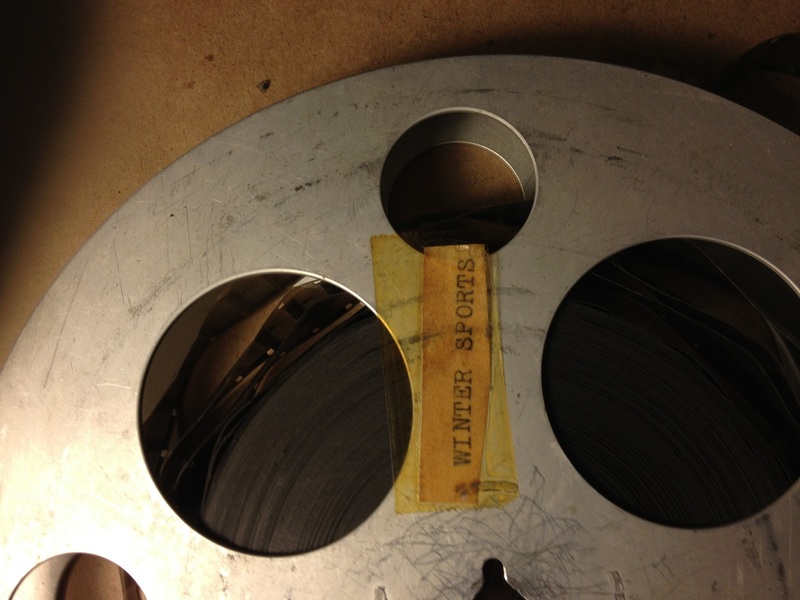 In the fall of 2012, The Clarke Historical Library started a film preservation project to properly preserve all of the 8 mm and 16 mm films in our collections for eventual digitization. 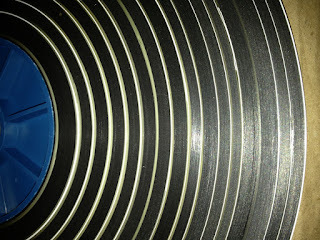 The intention of the project is to can (rehouse) and core (place onto a new spool) films using archival supplies, identify film scenes, and to get proper temperature storage for the films. The project is unique because film preservation is usually put on the back burner for its complexity and time-consuming nature. 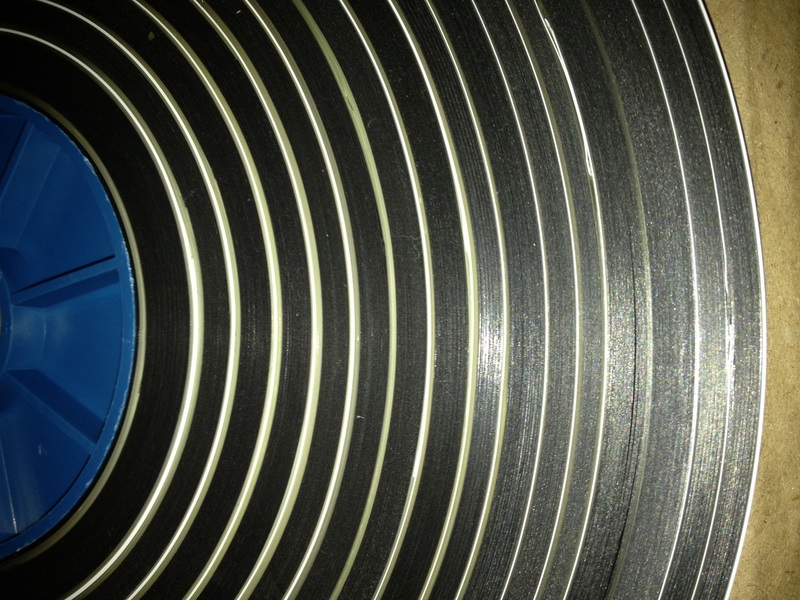 Currently, we have transferred two films to more modern formats (DVD or other digital media) for researcher use. The rest of the films have not been accessible to view by employees or patrons since they were donated to the Clarke. Until recently, we have not had the supplies to view any of the films. The Clarke holds approximately 70 cubic feet, or 3,000 reels of film, from the 1920s to the 1980s, covering everything from CMU events like marching band performances, graduations, and homecomings to CMU educational materials and from 1920s and 1930s northern Michigan home movies to citizen military training camps at Camp Custer (now Fort Custer, a National Guard training facility). We also hold news footage from the Channel 9 and 10 News. The majority of the films the Clarke holds are Channel 9 and 10 footage from the 1950s to the 1980s. Currently, materials that are not related to the Channel 9 and 10 News footage are nearly all identified and re-canned. As films and their scenes are being identified, the additional metadata (information) about the films is being added to our finding aids. The project will continue through at least the spring of 2014 and beyond for digitization. The top image, from the Senator Robert Griffin collection, shows a film core that now holds 16 short black and white interviews with Senator Griffin. Each interview is separated by a piece of blank white film leader. Some of the films came with some very basic additional information attached to either the reels or their film cans. For example, the bottom images shows a reel from the Michigan Films collection that simply states “winter sports” and contains footage of cross-country skiers, people skiing downhill, and people snow shoeing.